Reserve price auctions can be a confusing topic whether you're an eBay seller or a would-be bidder or buyer. Though they're not the majority of auctions on eBay, reserve price auctions are common enough and useful enough that you'll likely encounter them eventually. Here's what you need to know to make the most of reserve price buying and selling. When a seller lists an item for auction on eBay, they are given the option to supply eBay with an optional "reserve price" for the item. This price, which is kept a secret from bidders, is the minimum amount for which the seller is willing to sell. If a seller supplies a reserve price and bidding for the item does not reach the price before the auction is over, the seller is not required to sell the item to the auction's high bidder. Reserve price auctions can be identified by the words "Reserve not met" shown underneath the current high bid for the auction. 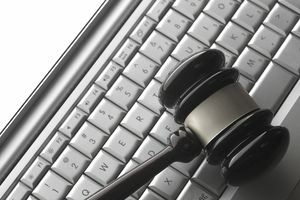 The act of placing a bid on a reserve auction is no different from the act of placing a bid on any other eBay auction. Enter your maximum bid and let eBay's proxy bidding system do the rest, or snipe and wait for the auction to end. The results of a reserve price auction, however, can be different from what many eBay bidders expect, and the rules surrounding reserve price auctions are slightly different. This can make for a confusing and frustrating state of affairs. If the reserve isn't met, you don't win anything. Because the seller isn't obligated to sell the item to you if the reserve price isn't met by the auction's end, you may place a bid and end up as the highest bidder only to learn, after waiting days or weeks, that the reserve was not met and the seller won't sell to you. You have to wait, even if your bid doesn't meet the reserve. Whether you're using eBay's proxy bidding system or a sniping system, when you bid on a reserve auction you can't tell whether you're obligated to buy until the auction is over. Even if your bid doesn't meet the reserve price at first, don't give up and bid on a competing item. As the reserve auction progresses and competing bidders act, the reserve could end up being met with you as the high bidder. If this happens and you've also bid on another item, you'll be on the hook to buy both of them. Reserve auctions often end with few/low bids. Because of the uncertainty described above, many bidders are reluctant to place bids on reserve auctions. As a result, it's actually common for reserve auctions to show a current bid well below the going rate for the item in question and for the item to receive fewer bids than a matching non-reserve item, making it less likely that the reserve price will actually be met. Reserve prices can be higher than you'd expect. Reserve prices are often set by sellers just "testing the waters" or who have unreasonable expectations; so, it's also common to realize, as bids go higher and higher and the reserve remains unmet, that the reserve price on a given auction is set at an unreasonably high level and all bidders are effectively wasting their time. Reserve auctions are often used by less experienced sellers. Because they tend to generate fewer bids and are designed to protect a seller that isn't sure of the market value of his or her goods, reserve auctions are often used by new or inexperienced eBay sellers that may be slower to communicate, offer customer service, and/or ship goods. Reserve auctions tend to be the least desirable types of auctions, even though the current bid price of reserve auctions tends to be much lower than that of non-reserve auctions. For most buyers, it's too big of an inconvenience to bid in an auction through which they might not get an item even if they "win" the bidding and then must wait for the auction to end before bidding on a competing item. For these reasons, it's generally good policy as a buyer to bid on a reserve auction only if there is a compelling reason to do so: a lack of competing non-reserve auctions for similar items, for example, or superior seller feedback that justifies the inconvenience and uncertainty. Are you a seller? Have a specific question? Read on for tips about reserve price auctions specifically addressed to sellers, as well as a list of frequently asked questions (and answers) about reserve price listings. As a seller, if you didn't read the set of tips above for bidders and buyers, go back and do so now. The drawbacks for prospective bidders on reserve price auctions are precisely what make reserve price auctions less desirable for sellers, as well. The consequences of reserve use for sellers are not to be taken lightly. Fewer bids and lower closing values. Because of the uncertainty and hassle involved in reserve bidding, reserve auctions draw fewer (and thus lower) bids than similar non-reserve items. The act of trying to "protect" your investment by setting a reserve price may reduce its sales value even if the reserve is ultimately met. Fewer sales overall. It's common sense, but it bears repeating: the purpose of a reserve price is to cancel the sale of an item for which bids did, in fact, exist. In the process, setting a reserve price also decreases the total number of bids your items are likely to receive. In practice, this means fewer sales overall and lower average prices, for which you actually pay a fee premium (since setting a reserve price incurs a fee). Higher non-paying-bidder rate. Reserve auctions can surprise buyers that place a proxy bid as they see that they didn't meet your reserve and move on to someone else's auctions. Two or four or even seven days later when the listing ends and they've turned out to be the winning bidder in a reserve-met auction, they may inform you that they bought elsewhere and balk at completing the transaction, an instant non-paying bidder problem. Because of these drawbacks, before setting a reserve price for an auction, you should always ask yourself whether a better outcome can be achieved by checking current market value for your item using a "completed listings" search and then setting a higher starting bid or a buy it now price. Q: I was the high bidder on an auction and the reserve was met. What now? A: Complete the transaction just as you normally would with any other auction and seller. When a reserve auction ends with a high bidder and the reserve met, it behaves just like any other eBay auction. Q: An auction I bid on is over and the reserve wasn't met. What now? A: If you're the highest bidder on an auction that has ended and the listing shows that the reserve price was never met, you're likely out of luck. The seller is not obligated to sell you the item in question at any price, much less the closing price of the auction. You are free to contact the seller and request that they send you a Second Chance Offer to complete the sale (any other method of competing for the sale would violate eBay rules), but in practice, this rarely happens. Q: I bid in an auction. It's still going, but my bid didn't meet the reserve. What now? A: Now you wait. Because the auction is still live, you can't be sure what other bidders are going to do and how the auction may play out in the end. Depending on what others do, you could still end up as the highest bidder and meet the reserve when the auction ends. If that happens, you are obligated to complete the transaction and make the purchase; so don't bid or buy elsewhere until the reserve auction on which you've already bid ends. Q: One of my listings has finished with a high bidder and the reserve was met. What now? A: Wait for payment from your high bidder and deliver the item as you normally would. When the reserve is met, there is no difference between a reserve auction and any other for the seller. Q: One of my listings has finished but the reserve was not met. What now? A: You have three basic choices about how to proceed. First, you can decide that you don't want to sell the item and move on to other sales and items. Second, you can take another crack at selling the item by relisting it (though you may want to consider lowering and/or removing the reserve price since it didn't work out so well the first time). Third, you can send a second chance offer to the high bidder, even though the reserve wasn't met, and sell the item to them at the price of their maximum bid.